The La Porte Police are reminding residents, to not forget unused/ expired medications. The La Porte Police Department has a medication drop box located in the front lobby and it can be accessed during normal business hours. LPPD also mentioned that you should not dispose unwanted medications by throwing in the trash or flushing, where it can end up in the groundwater or drinking water supply. Gov. Eric Holcomb has proclaimed this week, April 8-12, as Invasive Species Awareness Week in Indiana, an important reminder for Hoosiers to watch for potentially devastating pests.Ornamental pear trees, most commonly known as Bradford pears, have been a popular landscaping tree in Indiana for decades.So popular that they are crowding out native Indiana trees.For that reason, the Indiana Department of Natural Resources encourages homeowners and landscapers to avoid planting such trees and to replace them when possible. If you are looking for an alternative flowering tree for Indiana, serviceberry trees, which have similar white blooms in the spring and fruits that attract wildlife, are one option. Eastern redbuds, which grow quickly with eye-catching lavender flowers in the spring, are another option.To learn more about native trees that are great for landscaping, visit the Indiana Native Plant and Wildflower Society page at inpaws.org/landscaping.For more information on all invasive species that could affect Indiana and ways to help stop their spread, see dnr.IN.gov//3123.htm. Indiana’s unemployment rate stands at 3.6 percent for March and remains lower than the national rate of 3.8 percent. With the exception of one month when it was equal (October 2014), Indiana’s unemployment rate now has been below the U.S. rate for more than five years. The monthly unemployment rate is a U.S. Bureau of Labor Statistics (BLS) indicator that reflects the number of unemployed people seeking employment within the prior four weeks as a percentage of the labor force. Indiana’s labor force had a net increase of 6,769 over the previous month. This was a result of an increase of 2,634 unemployed residents and an increase of 4,135 employed residents. Indiana’s total labor force, which includes both Hoosiers employed and those seeking employment, stands at 3.41 million, and the state’s 65.3 percent labor force participation rate remains above the national rate of 63.0 percent. Learn more about how unemployment rates are calculated here: http://www.hoosierdata.in.gov/infographics/employment-status.asp . When Dr. Nils K. Nelson, organic chemistry professor, retired from Purdue University Northwest (PNW) in 1991, he never considered leaving the place he loved. There were opportunities to relocate closer to family, but for Nelson, PNW’s Hammond Campus was home.Leaving an eternal mark at PNW may have been what Nelson, who taught 29 years at the university, had in mind when he planned a multimillion dollar gift from his estate—though he might not have expected his legacy would include a building in his name.The Purdue University Board of Trustees approved the official naming of the Nils K. Nelson Bioscience Innovation Building. Currently under construction on PNW’s Hammond Campus, the 68,000-square-foot building project officially broke ground in July 2018 and is set to open in fall 2020. The facility will contain research and teaching labs, and house PNW’s College of Nursing and the Department of Biological Sciences. It will be the first new academic building on the Hammond Campus in nearly 20 years. Franciscan Health is recognizing the pain that families go through in the loss of a pregnancy or newborn and provides services to those seeking care and comfort. Twice a year, a memorial service is held to remember these children. The public is invited to take part in “Remembering Our Babies,” Franciscan Health’s next memorial service, at 1 p.m. Saturday, April 27, at St. Stanislaus Catholic Cemetery, 1015 Greenwood Ave. in Michigan City. This memorial service is held in accordance with Franciscan Health Michigan City’s faith and commitment, including the unborn child, their parents and families. 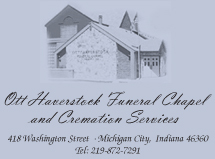 For more information about the memorial service and pregnancy loss support services, contact Franciscan Health Michigan City’s Family Birth Center at (219) 877-1610. Attorney General Curtis Hill joined a 17-state coalition this week to support farmers and other landowners by urging the Trump administration to adopt its own proposed replacement of the Obama-era Waters of the United States (WOTUS) rule. The 2015 regulation sought to define properties subject to federal management based on whether they contained environmentally significant bodies of water. The coalition, in comments filed late Monday, argued the Trump administration’s proposal would restore respect for the states’ traditional authority to protect local lands and water resources. The coalition believes the new rule will correct flaws in the 2015 regulation, which extended authority of the U.S. Environmental Protection Agency and the U.S. Army Corps of Engineers far beyond what Congress intended and the Constitution permits. The 2015 WOTUS rule, if implemented, would have taken jurisdiction over natural resources from states and asserted federal authority over almost any body of water, including roadside ditches, short-lived streams and many other areas where water may flow once every 100 years. Such overreach would impose unnecessary burdens on farmers and other landowners affected by the rule. Indiana signed the West Virginia-led letter with attorneys general from Alabama, Arkansas, Georgia, Idaho, Kansas, Louisiana, Missouri, Montana, Nebraska, Ohio, Oklahoma, South Carolina, Tennessee, Texas and Utah. The bag limit for trout in inland waters, other than Lake Michigan and its tributaries, is five fish per day with a minimum size of 7 inches. No more than one of these can be a brown trout. Anglers age 18 and older need an Indiana fishing license and a trout/salmon stamp to fish for trout. The inland stream trout season officially starts at 6 a.m. local time on April 27. To find a stocked stream near you, see the 2019 Trout Stocking Plan at fishing.IN.gov . The fishing guide for more details is also located at at fishing.IN.gov . Legislation sponsored by State Rep. Jim Pressel (R-Rolling Prairie) improving transportation services for Hoosier Medicaid patients heads to the governor’s desk to be considered for a new law. Last year, the state contracted Southeastrans, a transportation brokerage company, to provide consistent non-emergency medical transportation services to Medicaid patients across the state. The company schedules rides for patients who may not otherwise be able to make their doctor, dentist or dialysis appointments. According to Pressel, the demand for transportation increased drastically following the promotion of Southeastrans’ services, resulting in many system failures including late rides, missed rides and last-minute cancellations. This legislation would establish a commission to oversee provided services. The commission, consisting of legislators, service providers and a service recipient, would help ensure patients have safe and reliable service and Hoosier Medicaid dollars are spent responsibly. Under the bill, Southeastrans and other brokers would also post weekly reports outlining the number of drivers, vehicles and system failures in each county. Pressel said this would help the commission and Southeastrans identify where improvement is needed. Senate Enrolled Act 480 is now eligible for action by the governor. To learn more, visit iga.in.gov. Designed to provide a convenient, daylong opportunity to make a monetary gift of any amount to PNW, Day of Giving sees gifts from thousands of superheroes who answer that call. Donations can be made online beginning at 11 p.m. CDT, on April 23 at pnw.edu/dayofgiving. Donations will also be accepted by phone from 8 a.m. to 5 p.m. April 24 at 219-989-2323. Visitors to the website will also learn how their donations benefit PNW, how to give to their favorite college or cause, and about various giving challenges and matching funds that increase the value of their donations to PNW even more. Donors can give to the College of Business, College of Engineering & Sciences, College of Humanities, Education & Social Sciences, College of Nursing, College of Technology, Honors College, Athletics, Strategic Initiatives, Scholarships, Sinai Forum, Gabis Arboretum at Purdue Northwest, Bioscience Innovation Building and others. 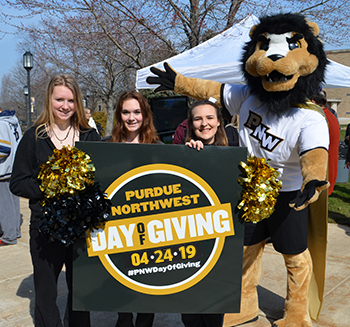 Sharing the hashtag #PNWDayOfGiving through a tweet or photo will also generate money on behalf of PNW during designated challenge hours. The Day of Giving headquarters will open at 8 a.m., Wednesday, April 24 in the Student Union & Library Concourse on the PNW Hammond Campus and in the Library-Student-Faculty Building in the hallway near Room 144 in Westville. Guests are invited to stop by to make a donation, watch the donations grow on a leaderboard and join other fun activities. Donations can be made online through 10:59 p.m. CDT on April 24. Information about donations, how to give to a specific college or cause, and various giving challenges and matching funds is at PNW.edu/dayofgiving. Through a collaboration between PNW’s Honors College and Office of Concurrent Enrollment Programs students will experience campus life and have an opportunity to stay in one of PNW’s residence halls, with a day camp opportunity also available. During this one week residential program, students will attend courses during the day with PNW faculty, engage with other PNW students, and take advantage of campus facilities. Evenings will find students immersed in cultural points of interest and activities in Chicago and northwest Indiana. Cost for attendance is $400 for residential camp or $325 for day camp only with a $40 non-refundable deposit. Applicants may also be eligible for a scholarship to cover camp tuition and fees. For more information and a link to the application, contact [email protected] or visit pnw.edu/summer-experience. Governor Eric J. Holcomb appointed Sue McCloskey to the Indiana Economic Development Corporation (IEDC) Board of Directors today. Prior to establishing Fair Oaks Farms, McCloskey and her husband ran a successful dairy veterinary consulting practice in southern California before moving to New Mexico to start a 5,000-cow dairy farm. In New Mexico, they created Select Milk Producers, which is currently the fifth largest milk cooperative in the country. In 1999, McCloskey moved to Indiana to create one of the largest dairy farms in the country and simultaneously opened Fair Oaks Farms. She has previously served as the creative director for Fair Oaks Farms as well as a spokesperson for Fairlife, Select’s dairy-based health and wellness company. McCloskey has also served on the Board of Trustees for Culver Academies in Culver, Indiana. She fills a vacancy left by Angela Braly, who served as a member of the IEDC Board of Directors from 2013 to 2019. McCloskey will serve a four-year term, expiring in April 2023. South Shore Line (SSL) recognizes the continued loyalty of monthly ticket holders and wants to express their gratitude by offering a promotion for monthly ticket holders in early May.Saturday, May 4 through Sunday, May 5, the SSL is offering a “friends ride free” weekend to monthly commuters, inviting one friend to ride free with a commuter who holds a monthly pass. No ticket is required for the friend. The SSL offers other commuter perks, including transit benefit programs, discounts for monthly passes, quiet cars on every rush hour train and onboard Wi-Fi. For more information on train schedules, discounts and to plan a trip, please visit mysouthshoreline.com or download the SSL app (available for iPhone and Android)The South Shore Line is a commuter rail line operated by the Northern Indiana Commuter Transportation District (NICTD) between Millennium Station in downtown Chicago and the South Bend International Airport. The Michigan City Fire Department has recently received the improved Insurance Services Office (ISO) rating of a Class 2 from a Class 3. This rating has been achieved by less than 1/4 of 1% of Fire Departments Nationwide and is one of only 17 in Indiana. The ISO currently evaluates over 50,000 Fire Departments Nationwide with only 1,597 earning the Class 2 Rating. The new Public Protection Classification (PPC) rating will become effective July 1st, and the improved Insurance Service Office rating will help some homeowners see a lowering of insurance rates, the department announced. Fire Departments across the Nation are rated by the ISO to determine a PPC for individual Cities or Counties. This rating is published by the ISO and used by Insurance Companies to determine insurance rates. With a Class 2 ISO rate, Michigan City property owners could realize a decrease in property insurance premiums. Less than 1% of all communities surveyed in the nation receives an ISO Class rating of 2. This rating entitles the residential and commercial property owners within the City of Michigan City to receive the maximum credit on their insurance premiums (Class 1 and Class 2 rating receives the same credit. ).Property owners should contact their insurance providers to inquire if their premiums will be impacted by the new classification rating. Valparaiso Police are investigating the theft of miscellaneous items from Wal-Mart, located at 2400 Morthland Dr. The theft occurred on April 11th, at approximately 3:30 p.m. The two males selected merchandise and exited the store making no attempt to pay for the concealed items. VPD say if you have information regarding the subjects please contact Detective Jason Hamilton at 219-462-2135. 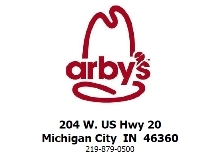 Information can also be texted to TIP411 (847-411) and enter “Valpo” in the message field prior to sending the message. The photos of the subjects have been shared on the WIMS Facebook page. In observance of Good Friday, the following Central Service Departments will be closed on Friday, April 19th. The Refuse Department will be operating a regular schedule. The Safe Haven Baby Box is available to new mothers who wish to utilize Indiana’s Safe Haven Law, which enables a person to give up an unwanted infant anonymously without fear of arrest or prosecution. The anonymity of the Safe Haven Baby Box is a last resort for women in crisis. The baby box at Franciscan Health Michigan City is discreetly located outside the Emergency Department at the hospital, 3500 Franciscan Way, on the northwest corner of Interstate 94 and U.S. 421. The box is in a heated and air-conditioned room with its own ventilation. When the box is used, a silent alarm will sound in the Emergency Department so that staff can immediately tend to the baby. Monica Kelsey, founder and CEO of Safe Haven Baby Boxes Inc. has worked to educate others on the Safe Haven Law and introduce use of the baby boxes. So far, she’s brought the boxes to four states – Indiana, Ohio, Pennsylvania and Arkansas – and she has the goal of making the baby boxes legal in all 50 states by the year 2025. She said that her organization is working to spread the word to the public about the baby boxes through a billboard campaign and social media. In Northwest Indiana, the Safe Haven Baby Boxes have also been installed at the Chesterton Fire Department and the Coolspring Township Volunteer Fire Department, where two babies have been left and rescued, one in 2017 and the other in 2018. For more information about Safe Haven Baby Box locations or to speak to a licensed counselor, call the National Safe Haven hotline at 866-99BABY1 (866-992-2291) . La Porte County Emergency Management Director, Larry Butcher, in conjunction with Mayor Ron Meer, came up with a plan to monitor the Michigan City beachfront through a program called, “Beach Safety Monitoring”. With this program numerous cameras have been placed throughout the beach area, parks and our pier and lighthouse. Michigan City Police said the program was designed to not only save potential lives, but also monitor behavior of our visitors. These cameras along with other safety equipment such as life preservers, and a digital warning system was designed and installed in January of this year. The cameras can be monitored in the 911 Center, the Police Department and also the office of Emergency Management. Yesterday, just after 10am, Director Butcher noticed from his office two adult males walking on the rocks associated to the pier. As he watched these two subjects he zoomed in to discover that they pulled out Sharpie markers and began drawing obscene images on the pillars towards the lighthouse. Mr. Butcher was then able to contact the police and give complete descriptions of suspects and the incident along with being able to record all of their actions. Numerous officers responded and immediately the subjects were located, and both placed under arrest for criminal mischief. Arrested were 42 year old Adam Barlow, of Muncie, and a 17-year-old from out of the area. At the April 8, 2019 Meeting, the Michigan City Redevelopment Commission approved the expansion of the Façade Improvement Program and Upper Story Residential Incentive Program. The original program established in 2013 was limited to areas within the North Tax Increment Financing (TIF) District bounded by 11th Street to the south, 4th Street to the north, Pine Street to the east and Wabash Street to the west. The approved expansion extends the program boundaries to additional areas within the North TIF District including areas along US Highway 12 from Wabash Street to Liberty Trail, East Michigan Boulevard from Highway 12 to Vail Street and along South Franklin Street to the vicinity of Barker Avenue in the City’s Midtown Neighborhood. To date the Façade Improvement Program has resulted in over $500,000 in reinvestment in building façade improvements in the Uptown Arts District. The Façade Improvement Program will pay up to 60% of eligible costs to a maximum of $30,000 per property including 100% of architectural fees for a project. The Upper Story Residential Incentive Program, established in 2014, pays up to $15,000 per unit to a maximum of 4 units per floor for creation of new residential units above storefronts in multistory buildings. Applications and program guidelines within the expanded program areas will be available starting May 1 by going to http://www.emichigancity.com/cityhall/departments/planning/ or stopping by the Planning and Redevelopment Department office at City Hall. For more information please contact Craig Phillips, Executive Director of the Michigan City Redevelopment Commission at [email protected] or by calling (219) 873-1419. The Valparaiso Police have added an officer with the swearing-in of Jacob Myers. Mayor Jon Costas performed the ceremony Tuesday at the Valparaiso Police Department, with Chief Balon, numerous officers, family, and friends in attendance.Jacob is a 2013 Wheeler High School graduate, who entered the United States Marines in 2014. Jacob remained in the military until 2018, when he was Honorably Discharged, with the rank of Sergeant. Prior to becoming a Valparaiso Police officer, Jacob was working with the Porter County Sheriff’s Department as a Jailer.Jacob will immediately begin his training with the department and will attend the Indiana Law Enforcement Academy later in 2019.